Taalportaal Dutch-Frisian. I was involved as an advisor for the Syntax of Dutch within Taalportaal (the digital language portal of Dutch and Frisian Grammar). 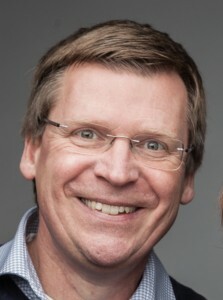 Collaborators: Hans Broekhuis, Crit Cremers, Hans Bennis. The Syntax of Dutch (editor/author Hans Broekhuis; Amsterdam University Press 2012-5) will be published in at least seven volumes in the period 2012-16 and aims at presenting a synthesis of the currently available syntactic knowledge of Dutch.It is primarily concerned with language description and not with linguistic theory, and provides support to all researchers interested in matters relating to the syntax of Dutch, including advanced students of language and linguistics. The Syntax of Dutch will be incorporated in the Language Portal Dutch/Frisian. AThEME (Advancing the European Multilingual Challenge). I am involved as a researcher, research group leader and member of the management team of AtHEME, a large European research project (FP7) involving various European universities. For a description of the project, click here. Studies in Generative Grammar. As of january 1, 2014 I am one of the editors of the series Studies in Generative Grammar (Mouton de Gruyter publishers). Co-editors: Harry van der Hulst (University of Connecticut) and Roumyana Pancheva (University of Southern California); Advisory editor: Henk van Riemsdijk. I am the national director of Masterlanguage. Masterlanguage is a curriculum of courses offered annually, on a semester basis, to Dutch master level university students in one of the languages Dutch, English, French, German, Italian and classical Greek and Latin. The goal of Masterlanguage is, by a nation-wide combination of forces, to safeguard continued expertise in the study of these languages at university level. Participating universities are those of Amsterdam, Amsterdam V.U., Groningen, Leiden, Radboud Nijmegen and Utrecht.